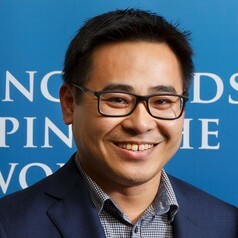 Dr Jon Quach's expertise is focused on understanding how schools can support students with developmental, health and behavioral difficulties that impact on the student's learning. Drawing upon the fundamental understanding that children’s health and development are intrinsically linked, his overarching career goal is to conduct rigorous efficacy and effectiveness population-based trials to address health and developmental problems during the early years of school to improve long-term education and health outcomes. The interventions are designed with careful consideration of there feasibility and acceptability within the constraints and constructs of a traditional education environment to enable them to be scaled if shown effective. The intervention target and mechanisms of change are informed by robust longitudinal research that quantifies the health and development pathways linked to later health and education outcomes.